The Township of Woolwich Environmental Enhancement Committee (TWEEC) is a partnership between Woolwich Healthy Communities and the Township of Woolwich to improve the quality of the environment in the Township. Formed in February 2004, our 14-member committee meets monthly to plan projects and to organize groups and volunteers to help implement them. 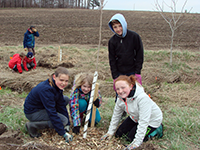 We welcome volunteers and groups interested in contributing to local environmental projects! The plans, budgets and implementation measures are first endorsed by the Woolwich Healthy Communities Coordinating Committee and then presented to Council for approval. The specifics, logistics and volunteer organization for each project are considered and approved by the Committee. Your thoughts and ideas are important to us! The Committee is looking for ideas for environmental enhancement projects in Woolwich Township. We have some ideas, but we would very much like to hear from Woolwich residents. Please contact any Committee member with suggestions for project areas. Hosted three native plant sales. 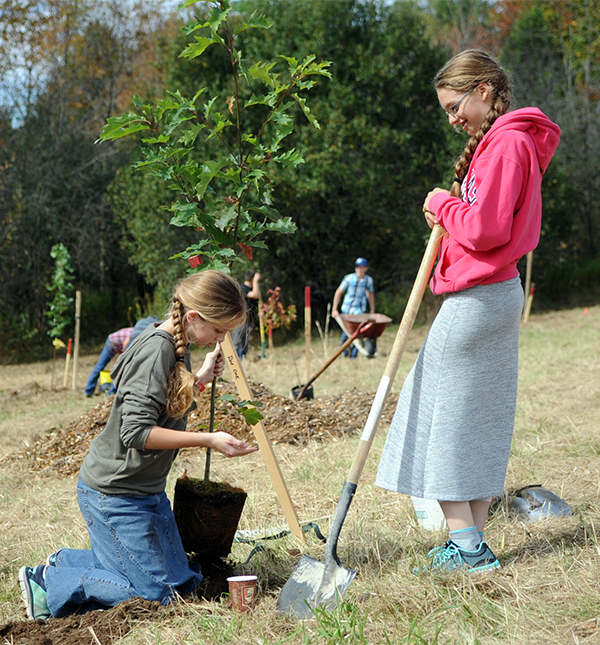 Established the Trees for Woolwich Program. In partnership with the Region of Waterloo, planted a 500 m living snow fence along Arthur St. north of St. Jacobs, as a pilot Living Snow Fence Project. Initiated "Seedlings in the Classroom" and "Seedlings for Seniors" programs and "Students for Shade" Interpretative walk program at the tree nursery. Undertook a phragmites pilot project. Undertook an ash tree removal and replacement project along the Trans Canada Trail near St. Jacobs. Plenty of volunteer opportunities to work with us.